If multiple users staff your company's Twitter account, coordinating updates can become complicated and confusing. Since Twitter allows users to stay logged in at more than one location, multiple employees can manage your Twitter feed simultaneously. Still, in the absence of tools to track what's being posted, your employees may tweet the same news multiple times or, worse, respond to direct messages from Twitter followers or @replies with multiple answers that annoy your customers. You can avoid these scenarios by taking advantage of tools designed to help users at your company keep track of the company Twitter feed and post to it more easily, thereby avoiding the type of confusion that can lead to multiple identical posts. Twitter's popular TweetDeck client can alleviate some of the coordination headaches. 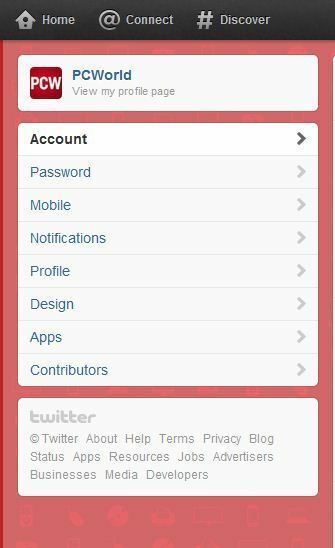 In addition, some users may have access to features in Twitter itself, to help manage multiple contributors to a Twitter account. Twitter has added a number of features over the past few years in beta testing for small businesses that make it easier for companies to work with the microblogging service. Twitter's new business pages are only the latest in a line of features available to a small number of Twitter business partners. One of the earliest features of this beta product, "Contributors," lets you designate users who can add tweets to your company's Twitter profile without having full administrative access to the account. If you already have access to Twitter's business account beta, adding contributors to your company's account is easy. Open the drop-down menu next to the new tweet button on Twitter's menu bar, and select Settings. From there, look for the new 'Contributors' category on the left. Click that entry to open a new page where you can enter in the names of users who you want to give permission to post to your company's Twitter account. After responding to a confirmation email message, the contributors you add will be able to switch between their personal account and the company Twitter feed via a new 'Switch accounts' section in the same drop-down menu, along the upper right area of your Twitter homepage. This contributor-oriented approach has a lot of advantages over simply handing out the account password to everyone who works with the Twitter feed. First, it allows you to be more selective about security. Contributors can post to your Twitter feed, but they don't have access to your company's account profile or settings. Second, contributors can quickly and easily switch among their multiple accounts, thanks to the account-switching drop-down option. This arrangement makes posts, especially for businesses that keep multiple Twitter accounts, that much faster. Contributors should appear at the bottom of your Settings panel. If you want to add contributors to your company's Twitter account, but you don't see a listing for 'Contributors' in your account settings, your company doesn't yet have access to Twitter's new business tools, which are open to only a few hundred businesses at the moment. Twitter has promised to roll business accounts out to the company's general user base in the next few months; but in the meantime, you can rely on third-party services to help you manage having multiple users update your Twitter account. If you don't have access to Twitter's native tool for adding multiple contributors, you can approximate the process by using TweetDeck, a simple download for your PC. For people who need to use TweetDeck on another computer, Twitter launched a Web app version of TweetDeck late last year. In exchange for ditching the default Twitter page, you'll get all kinds of features from TweetDeck that vanilla Twitter lacks. You can schedule tweets to post at a later time, customize your feeds so that you'll see only the messages that are important to you, and manage multiple accounts simultaneously. Though it does require extra setup steps, TweetDeck lets your contributors keep track of multiple accounts (including your business Twitter account and any personal Twitter accounts that they may have) at the same time, and it even integrates with Facebook to make cross-posting easier. To get started, create a TweetDeck account--either from the desktop app or on TweetDeck's home page: Simply select an email address and password to log in. Once you've logged into TweetDeck, you'll want to tie your Twitter accounts to the app. To add an account to your TweetDeck profile, click the gear icon on the upper right and select Settings. This should bring up a general Application Settings window. Select the accounts tab on the left of that window, and then click Add Twitter Account. This will cause a quick authorization screen to pop up, asking for your Twitter username and password. Click Authorize App, and TweetDeck should automatically keep track of your new account, along with any previously existing ones. To help contributors track what others are posting to your company's account, and to prevent double-posting, tell your contributors to add a column that displays all of your company's tweets within TweetDeck. To do that, press the Add Column button in the upper left area of your TweetDeck window. That should launch a new window. Though you have many other options for customizing feeds, for the moment you'll just want to look at all tweets from one account. To do that click the tweets option in the second row. Doing so will bring up a window that asks which of your accounts you want to use to monitor tweets. Select your business account, and all of your company's tweets will appear in a new column along the right side of your TweetDeck window. TweetDeck's feed of new messages on the company's Twitter account should update live whenever a new tweet arrives, so unless you and another contributor post a new tweet at exactly the same moment, your Twitter account should be safe from the risk of double posts.